Demonstrate how to do two plots on the same axes with different left and right scales. The trick is to use two different axes that share the same x axis. 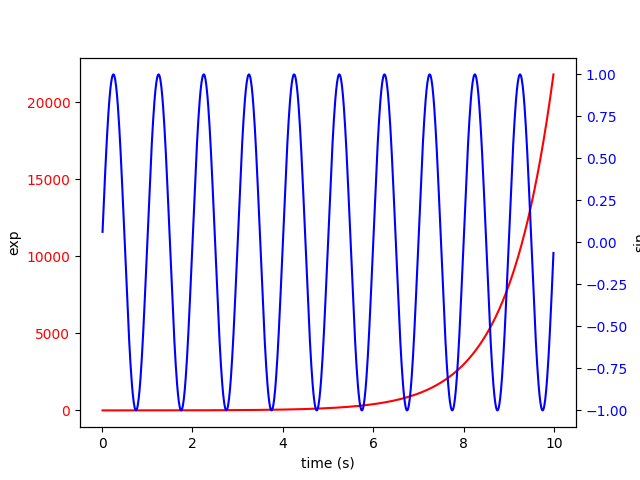 You can use separate matplotlib.ticker formatters and locators as desired since the two axes are independent. Such axes are generated by calling the Axes.twinx method. Likewise, Axes.twiny is available to generate axes that share a y axis but have different top and bottom scales.